Despite passing away from sepsis at the tender age of 12 months, William’s life lives on in those children that he has saved and continues to save, by the strength he has given me to campaign for awareness. I never knew such a little person could change my life just quite how William’s has. William taught me patience, he taught me to act selflessly, he taught me a love with no boundaries that is limitless and endless. And it is William that has given me the strength, determination and courage to continuing fighting after he passed away. IT IS WILLIAM THAT MADE SUCH A DIFFERENCE TO MY LIFE, AND IS NOW MAKING A DIFFERENCE TO THE LIVES OF SO MANY OTHERS. William was born on my birthday, the 27th November 2013, a precious boy, a boy that made every one of my dreams come true. William was beautiful, a child that never failed to smile, a smile so captivating you couldn’t help but smile back. William’s character was infectious. We very quickly settled in to what was a normal, fun loving, messy life. One full of the usual, late for everything, turning up with sick down your back, and a child with missing shoes. Always discarded the moment the Velcro was sealed. William was a calm, content and considered little boy, he liked to observe, then let you help him to learn. The week before he died he had triumphed at taking his first independent steps, congratulating himself by clapping, a trick he’d learnt the week before. You see, William had been poorly in the two months leading up to his death. He had suffered with a chest infection, which due to a viral infection being diagnosed, the crucial anti-biotic needed to help prevent the onset of pneumonia were not prescribed. Eventually William’s little chest cavity filled with a nasty fluid, and on Sunday 14th December 2014 William succumbed to sepsis in his sleep, in his bed, at home. Found by me, his mum. There was nothing that neither we, nor the paramedics could do to save William’s life, he was already in his new home, watching from above. When we received William’s post-mortem report, we expected something rare, we had no idea what could have caused this, then that word ‘sepsis’ was first mentioned. What is that? I thought. That must be rare, I’ve not heard of that. It didn’t take many minutes to figure out my little boy had had his life robbed by something very common. Shockingly so. 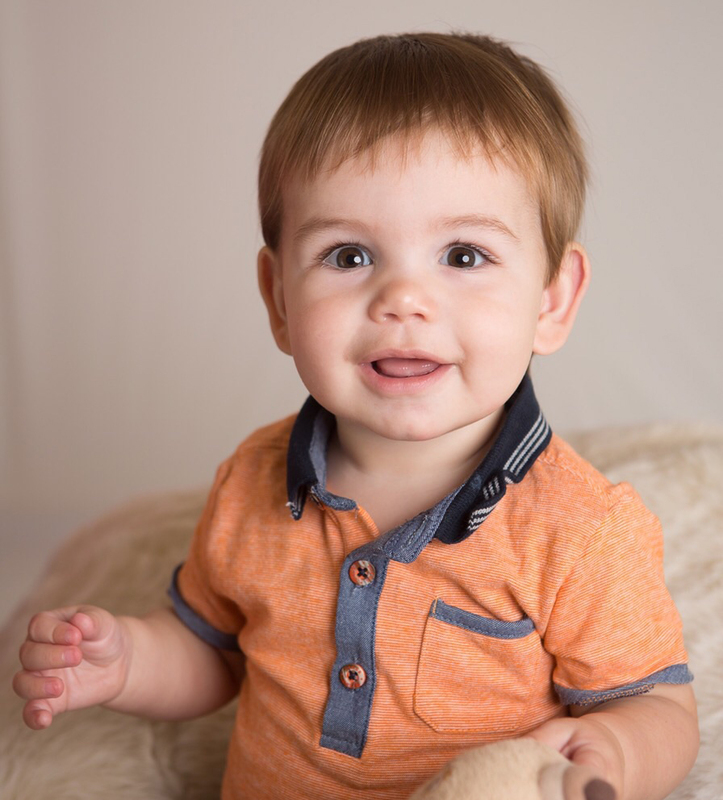 After months of investigations by NHSE and the organisations involved in William’s care, it was found that William should have been saved, had the doctors involved in his care, correctly diagnosed the earlier chest infection and pneumonia and the subsequent sepsis, William would still be here. I asked myself, how was I supposed to know what sepsis was, if my doctor wasn’t thinking about it. Despite taking William to the doctors 36 hours before he died, despite attempts for help by out of hours no-one diagnosed William appropriately. No-one told me that the symptoms William was displaying were those of deadly sepsis. We have now received an apology from the Secretary of State on behalf of the Government and NHS for the failings in William’s care in the months leading up to his untimely passing. It is with this apology comes recognition of mistakes, holes in the system and highlights a crucial lack of awareness of this monstrous issue that sepsis is. Although there is a desperate need to highlight the symptoms of sepsis not just amongst the public, but to encourage health professionals to ‘think sepsis’, William would never have got to that point had he been correctly diagnosed with pneumonia on the numerous times we visited medics. If I had known what sepsis was, what the symptoms are, then I would have known what to do. Instead, I will never hear my sweet child say ‘mummy I love you’. I will never dress him in his first school blazer or adorn his knee with his first plaster. I will never know whether William would have liked football, rugby or preferred to read a book. I will never know whether he would marry, or whether he would marry a woman or a man. I will never know my grandchildren. I WILL NEVER KNOW WILLIAM, AND THE MAN HE WOULD HAVE GROWN TO BE. SO PLEASE, IT IS TOO LATE FOR ME TO ‘THINK SEPSIS’ BUT IT’S NOT TOO LATE FOR YOU.